We finally started to accept entries for this year’s contest, YouFab 2017. We’ve asked last year’s YouFab 2016 Grand Prize winner, Keisuke Shimakage, if he has any words for people thinking about participating this year. We hope you are able to draw on his advice! 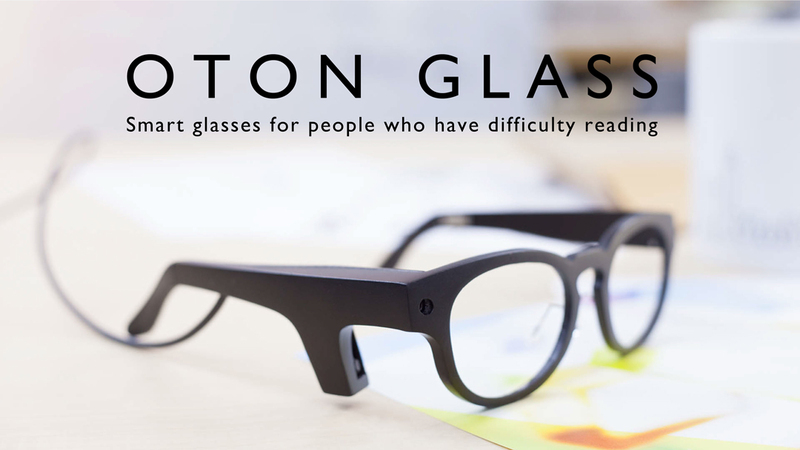 The winner of last year’s YouFab Grand Prize, OTON GLASS, are Smart Glasses that provide support for individuals who have trouble reading by converting visual information into auditory information. Shimakage began development after his father developed Dyslexia, losing his ability to read. What changes did the YouFab contest inspire in his life? Tell us something positive that came out of taking YouFab’s challenge. It was a chance for me to think about what it really means to make something here in our present moment, on a foundational level, as I worked together and exchanged ideas with digital fabricators and critics alike, both in Japan and internationally. Not only that, but because of the benefits of it being a global award, I get to tell the world about OTON GLASS, and at the same time, continue working, based in the community YouFab helped me develop here in Japan. YouFab gave me an amazing opportunity to promote my own Fab creation, make connections, and find a springboard to my next project. Please give us an encouraging message for this year’s YouFab2017 entrants! Digital fabrication is Jomon pottery. It’s rock and roll. It’s pushing aside all those nagging thoughts about pros and cons, facing your own ambition head on, and making that future real, with just the tools you have on hand and the friends you have beside you. Digital fabrication gives us this citizenship in a new tribe of craftspeople, and YouFab is a one of a kind award that will let you test your mettle. I hope you all fabricate something, and put it forward with YouFab! How do you plan on developing OTON GLASS in the future? I’m continuing to work towards getting OTON GLASS to the people who really need it. For one, we’re cultivating a user community. By getting the current iteration of OTON GLASS to our users and having them use it in their daily lives, our users are helping us to envision the next products and services. Another thing I’m doing is forging relationships with other companies and researchers. We’re sketching out the future with grassroots fabrication techniques, but cooperative business relationships will be vital to making OTON GLASS available throughout society. We’re looking for people who’ll work together to help OTON GLASS grow and prosper. We’re really looking forward to seeing how OTON GLASS develops from now on. Thank you so much for taking the time to speak with us. We hope we’ve managed to pique the interest of some of our readers who might be thinking of participating in YouFab2017, and we can’t wait to see your entries!